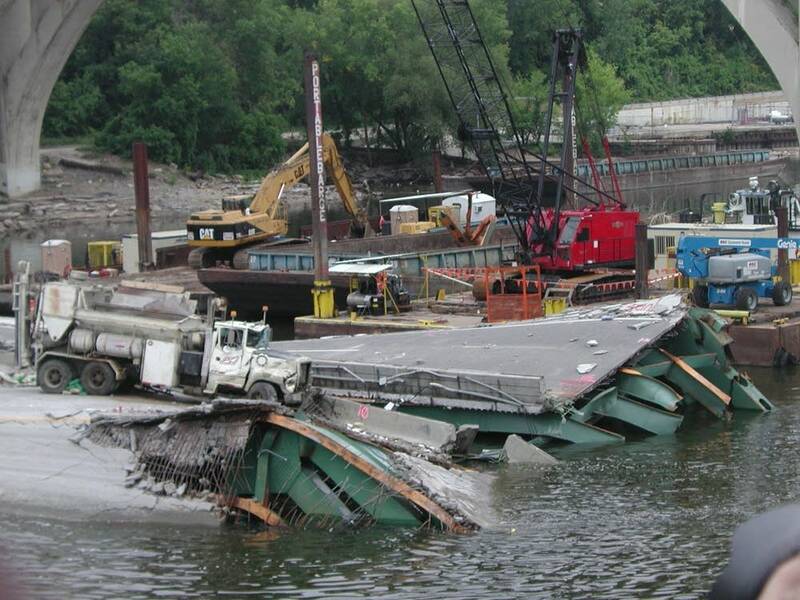 Three weeks after the 35W bridge collapse, U.S. Transportation Secretary Mary Peters made another trip to Minneapolis for an update from federal, state and local officials. At a news conference on Tuesday, Peters said she was particularly pleased that the bodies of all the victims have now been recovered. "This is still a tremendous tragedy, and we're all working very hard to try to find out what happened, but also to make sure this community can recover," she said. Officials say the recovery of the last victim means they can now remove concrete, steel and other debris from the river at a faster pace. 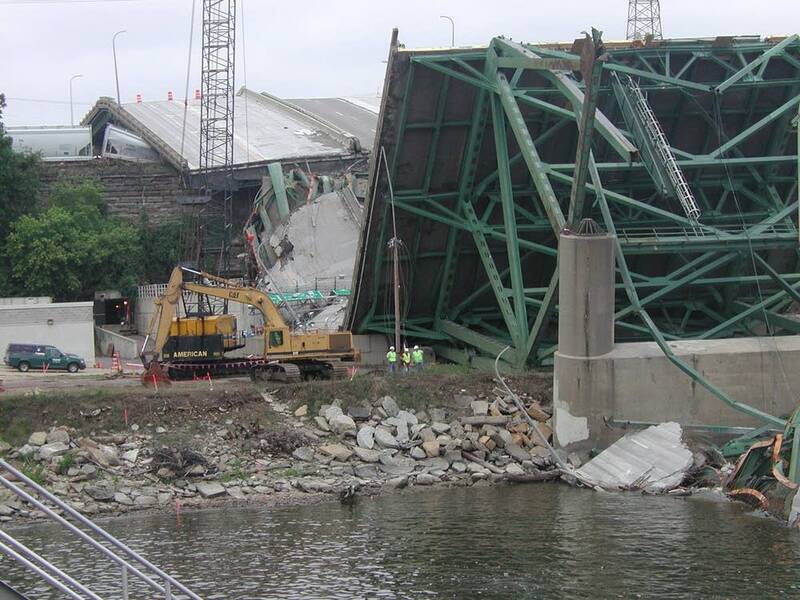 Investigators with the National Transportation Safety Board will oversee the cleanup as they continue to search for the cause of the bridge collapse. NTSB Chairman Mark Rosenker says crews can haul away the entire bridge deck and most of the southern end of the bridge. Rosenker says investigators have zeroed in on parts of the steel superstructure, which supported the bridge deck. "We actually found a couple of pieces that we're going to take a look very carefully at, take back to Washington. These are some gusset plates. But once again, we used the word gusset plates once before and everybody jumped up. There's more to it than the gusset plates, so let me make sure you understand that. Don't jump to any conclusions," he said. Before President Bush issued the disaster declaration, the federal government had already committed $250 million for the bridge cleanup and reconstruction, and another $5 million for transit costs. The disaster declaration means more money from FEMA to reimburse state and local officials for emergency response costs. Bush's action means additional money through the Federal Emergency Management Agency to reimburse state and local officials for rescue and other emergency response costs. Minneapolis Mayor R.T. Rybak welcomed the additional federal dollars, saying the costs to the city alone are estimated at up to $15 million. "The lights will stay on, but it will certainly create huge challenges if this is another budget pressure on a city that already has budget challenges. But we'll continue to work with the assumption that most of this will be reimbursed," Rybak said. Costs associated with the 35W bridge could also be addressed by state lawmakers this fall. Gov. Pawlenty says he's still willing to call a special session. But Pawlenty also wants a prior agreement with lawmakers on the agenda. His priorities are the near-term needs for the 35W bridge and flood relief in several southeastern counties. Earlier this month, Pawlenty said everything was on the table for a special session, including a gas tax increase. Now, he says a comprehensive transportation package is nice, but not necessary. "I've said I'm willing to consider an increase in the gas tax," he said. "But I've also asked in concept for them to consider some or all of it to be temporary, or some or all of it offset by some tax cuts or relief for low- and moderate-income people." Pawlenty says the earliest he would call a special session is mid-September. DFL Senate Majority Leader Larry Pogemiller says it's appropriate for the special session to include state assistance to flood-damaged counties. But Pogemiller also wants a comprehensive transportation bill that includes a gas tax increase. Still, Pogemiller is downplaying any differences with Pawlenty. "We're pretty good to go," he said. "We know what the governor is suggesting in regard to transportation, and I think we can accommodate all that. And he had suggested we do some local government aid and some property tax relief, and we're willing to accommodate that. So I think it's something that's easy to put together." Pogemiller and other legislative leaders are scheduled to meet this week with the governor to talk about a special session.